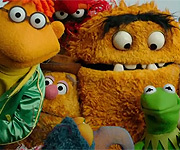 Discussion in 'Classic Muppets' started by Drtooth, Jul 26, 2012. KILL HIM! KILL HIM RIGHT NOWWWWWWWWWWWW!!1111!!!!! Telly needs to get a haircut. Froggy Fool, ConsummateVs and LittleJerry92 like this. He looks like if Elmo got plastic surgery and dyed his fur purple. Oh, and wore a toupee. He looks like either a Honker or Elmo. It's the nose that does it. This is insanely frightening. Insanely frightening. 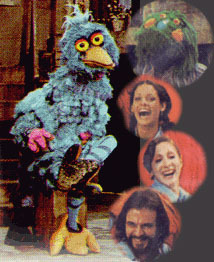 It's like the Sleaze Brothers kidnapped the 1969 version of Big Bird and turned him into the Bluebird of Happiness. BertFan, Blue Frackle, Any Del and 5 others like this. I just came across this a while ago. 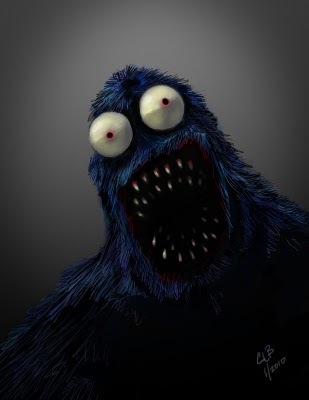 Of course this muppet doesn't bother me that much anymore but I remember being scared of him when I was little. I was proabably the voice that sounded like a drunken Fozzie Bear , his googly Cookie Monster style eyes and the terrifying laugh. 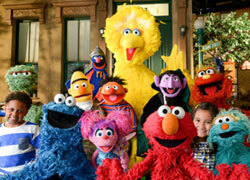 Nowadays I find this muppet a little creepy but atually kind of amazing. I remember seeing this muppet in "The Muppets on Puppets" when I was little and finding him a little creepy but I was truly terrified after seing the film "The Organized Mind" and I still find the evil thoughts scene terrifying. 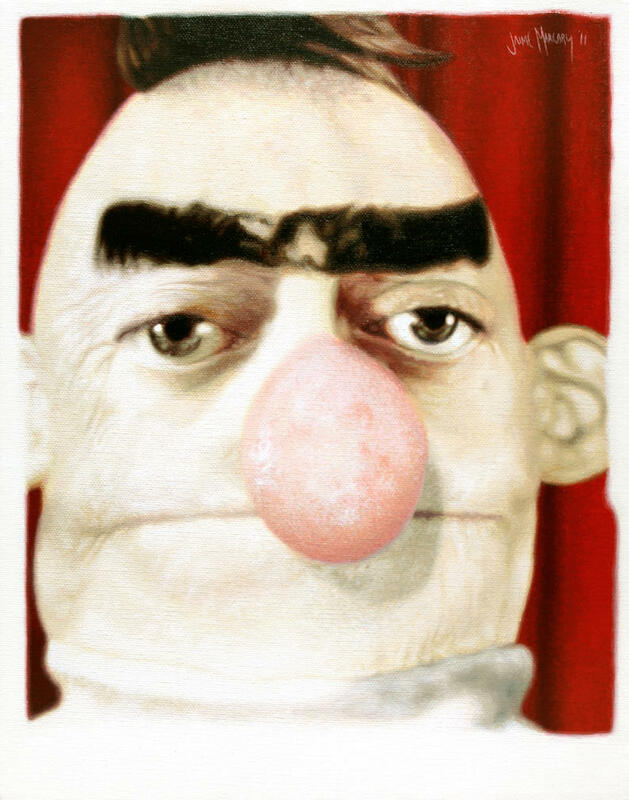 Now I love this muppet, I think he is one of the funniest out of the entire bunch but I remember him scaring me as a child. I was probably his creepy high pitched voice and laugh. Also, he was always blowing things up so when I was little I thought he was some sort of terrorist. This is one that I really feel stupid about. I don't know why but when I was little The Count didn't bother me but his fiance The Countess did. In the number of the day segments there would be a part where she would shout really loud to stop Count from counting. 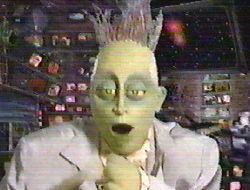 I remember having to run away when this segment was on. My body almost went into shutdown mode.